The Ebola battle will be won! Do to the continued efforts of Dr. Rima Laibow; the people of Sierra Leone can now see progress made in the fight against Ebola. This brave woman has continued to be on the forefront of research in bringing a viable solution to West Africa. Read on for the good news and watch the informative video in which Dr. Laibow talks about the real history of eugenics and disease. 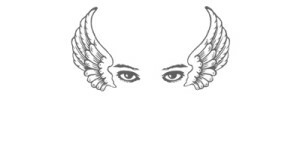 We need to know about this even if it is personally distasteful because we can never change our would for the better if we don’t know the problems and their causes. Sierra Leone is one of the hardest-hit counties in the Ebola epidemic which Margaret Chan, MD, WHO Director, says is “out of control” and “poses a threat to international peace”, yet that organization has, as detailed by Minister Kanu, expressed strong opposition to trials with Nano Silver 10 PPM. While the Food and Drug Agency (FDA), World Health Organization (WHO) and the Centers for Disease Control (CDC) discount silvers benefits for Ebola (or other) patients, there was no way to know until a proper test was conducted on infected patients. That test took place in Sierra Leone in the past 3 weeks under Minister Kanu’s personal responsibility for deploying it to the afflicted working with the Minister of Health and other officials. 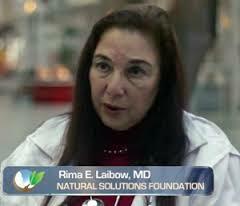 When Natural Solutions Foundation’s Medical Director, Rima E. Laibow, MD, addressed the assembled African Ministers of Health in 2007 at an African Health Summit in Mombasa, she warned them about emergent viruses. On August 1, 2014 in her Open Letter to the Heads of State and Ministers of Health of the four Ebola-stricken countries, she urged them to consider a particular nutrient, Nano Silver 10 PPM, in the Ebola crisis. She advised them that its use is part of a prudent program of powerful, safe immune support. In fact, this particular Nano Silver 10 PPM is the precise material used in the DoD study. She reminded them that according to WHO/CDC/FDA there is no material which has ever been demonstrated to have the same immune boosting capacity when facing Ebola. In that letter, she reminds us that the stakes are very high since respiratory Ebola has a 90%+ mortality while contact Ebola has “only” 60-70% mortality. Dr. Laibow’s Open Letter is here: http://TinyURL.com/StopEbola. Sheikh Massally read Dr. Laibow’s letter and reached out to her to provide Nano Silver to his people. Dr. Laibow shared her Protocol for the use of nutrient Nano Silver 10 PPM with the doctors of Sierra Leone.